What does it take to create community change? People are threatened by change and will often resist new ideas, even good ones, if they are unsure of the outcome. Leading change means taking risks – but those risks don’t need to be done all in one shot, in fact, it can sometimes be helpful to run experiments and test new concepts to start getting folks more comfortable with your new ideas. But keep in mind that testing means that sometimes things succeed…other times they fail. So one thing is for sure, you can’t be afraid of failure…it can happen. What does testing a concept look like in practice? 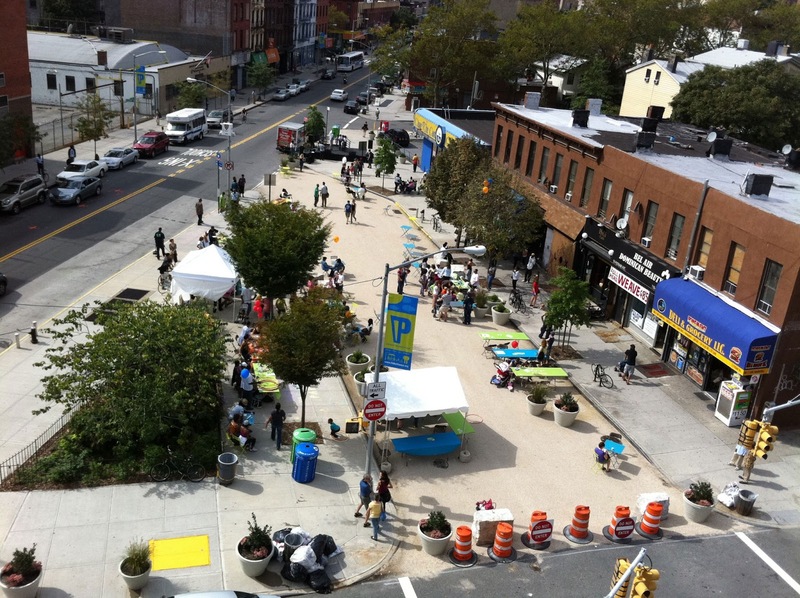 A wonderful example of community change is the story of Putnam Plaza, a segment of street in Clinton Hill, Brooklyn that I’ve written about before. (see: “BID’s efforts pay off for residents, businesses with street closure and block party”). Closing a street is no easy task, as Phil Kellog, Executive Director of the Fulton Area Business Alliance, and a Coro Neighborhood Leadership Alum, came to find out. Business owners are often concerned that a street closure will hurt business. The answer? A temporary closure that would allow the BID to test the concept. The street closure was coupled with programming, led by the BID, that drew pedestrian traffic to the area. Local business owners were pleasantly surprised by the increase in sales they experienced, and surprise, surprise they eventually came on board. Just this month the Department of Transportation approved the permanent closure of the Plaza. (see: DOT Approves a Permanent Putnam Triangle Plaza). Success!